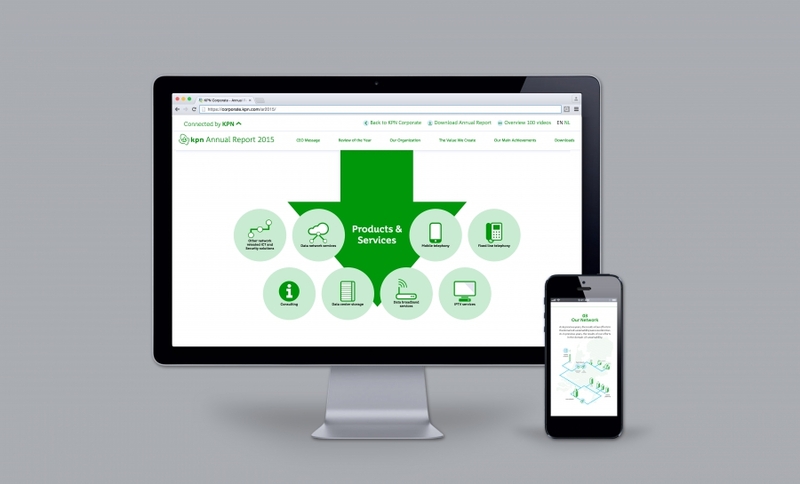 KPN is the leading provider of telecommunications and IT services in the Netherlands. 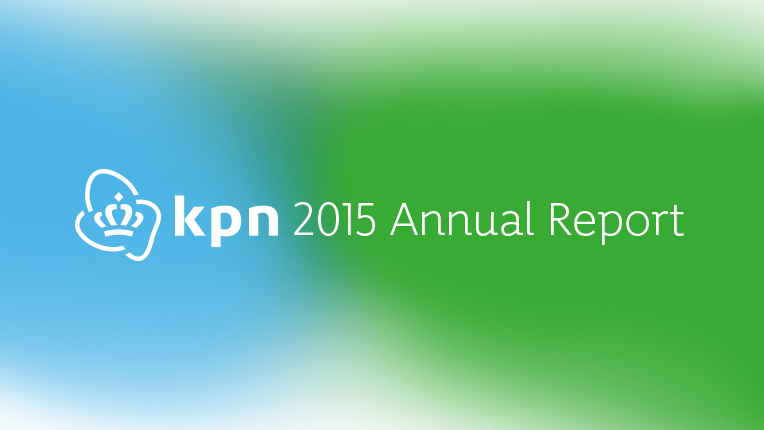 Through their long history and diverse range of activities, the KPN brand has become ubiquitous in Dutch society. In developing their 2015 Integrated Annual Report, our goal was to expand on this story and present more than the usual facts and figures. 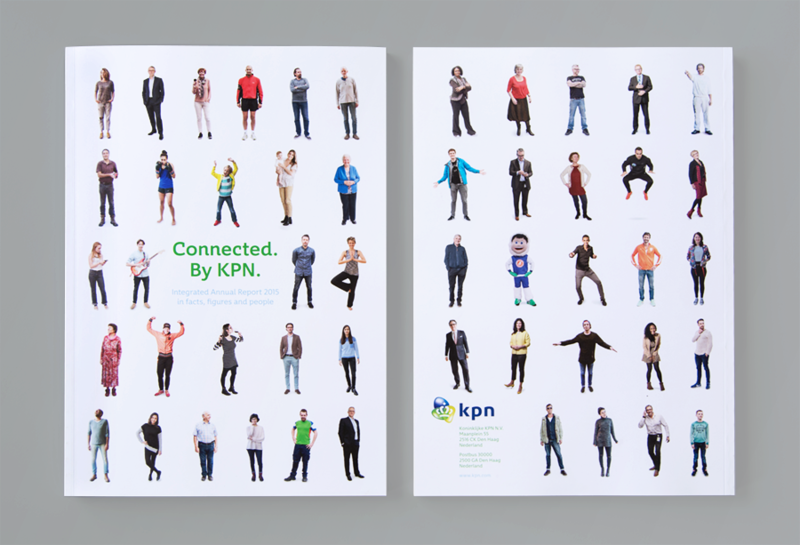 The result is an annual report built around two parallel narratives: that of the hard facts of KPN as a corporation, next to the many human stories that are made possible through the brand’s products. Under the title, ‘Connected by KPN’, we gathered 100 short films of 100 people who together represented a cross-section of Dutch society. 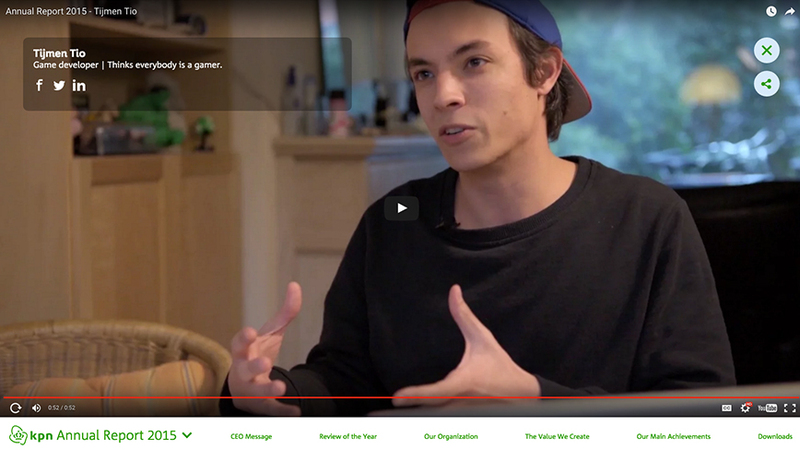 Their diverse stories, collected in an online video library and shared through social media, are accompanied by an interactive website and a printed report. 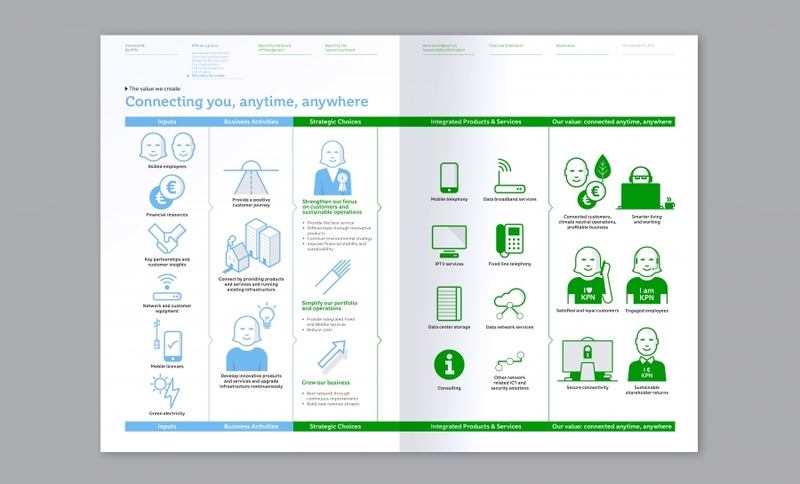 Together, these components tell a complete story of the company’s year in review, while also appealing to a larger audience.